Mission Statement: K9s For Warriors is dedicated to providing service canines to our Warriors suffering from Post-traumatic Stress Disorder, Traumatic Brain Injury, and/or Military Sexual Trauma as a result of military service post-9/11. Our goal is to empower them to return to civilian life with dignity and independence. We are the nation’s largest provider of service dogs for disabled American veterans. At Giving Through Jewelry, 10% of all sales are donated to a charity of the buyers choice. We realize that there are a lot of charities to choose from so we would like to highlight some of our favorites. 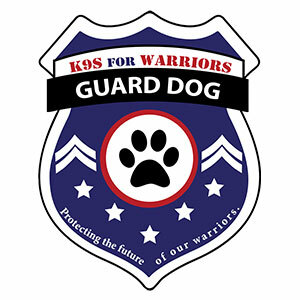 This month’s featured charity is K9s For Warriors Check out our FACEBOOK page at the beginning of each month to see how much was donated. With the support of the community, K9s For Warriors can save the lives of veterans struggling with Post-Traumatic Stress Disability. There are many ways to get involved in this life changing mission and no matter where you live, you can help! There are many ways you can support K9s For Warriors. We always host community events to fundraise and raise awareness about the important work that we do. If you like to run, walk, hold a jeans day at work or host a bake sale, then community events are for you.